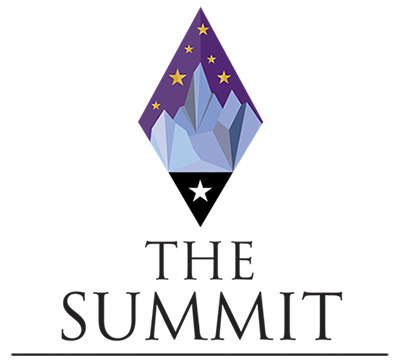 The Summit is a new event that expands upon the former Recruitment Workshop to include RECRUITMENT and NEW MEMBER EDUCATION strategies and tactics. 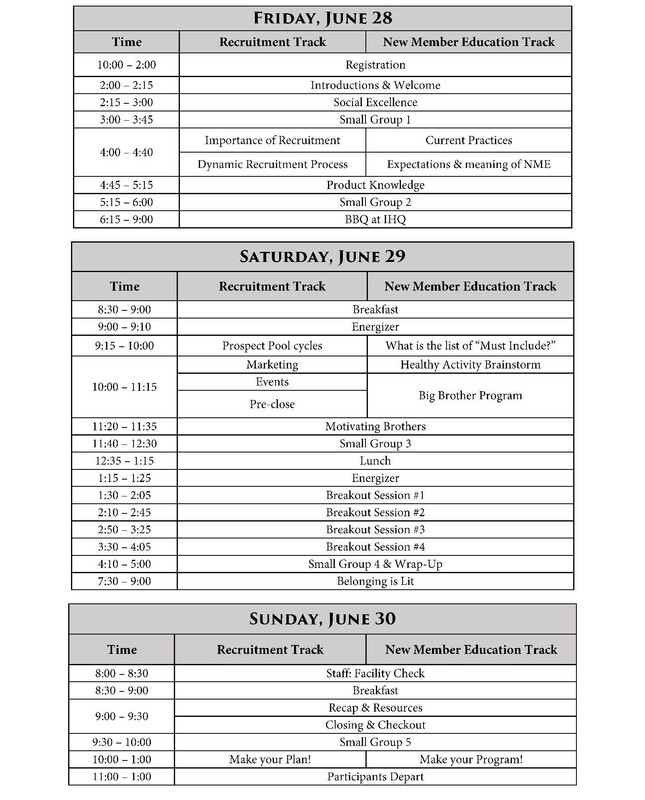 The recruitment chairmen track will break down the elements of dynamic recruitment in an engaging and exciting way. With a focus on building a culture around positive relationships and belonging, participants will design a recruitment plan for the upcoming academic year. New Member Education is intended to be a meaningful and engaging experience. Through a variety of activities and discussions, new member educators will develop a unique and custom program for their chapter/colony. The Summit will be held at the University of Kentucky, in Lexington, Kentucky. It begins in the afternoon on Friday, June 28, and concludes in the morning on Sunday, June 30. The registration fee is $120/registrant. This fee will cover: lodging at the University of Kentucky, all training materials, a Friday BBQ at the international headquarters, Saturday breakfast and lunch and Sunday breakfast. The cost does not cover travel to Lexington, KY or dinner on Saturday evening. Please contact the Director of Growth with any questions! Blame it on the Alcohol: There is no faster way to misalign potential members expectations than recruiting with alcohol or bringing alcohol into a new member education process. If potential/new members only join for alcohol, when they see there is an organizational structure and membership expectations, they will be disengaged and cause rifts in the chapter. So how do we remove this from our operations and move forward? This session will discuss the benefits of dry recruiting and how to get brothers to buy into this new image. All About That Brand: The brand of a person or organization is what others say our values are, not what we say they are. This effects everything, from recruitment, to brothers actions, to campus parternships and operations. But how can we repair, grow, or transform our brand to match the values we hold to us? This session will cover how a brand impacts our operations and how to craft an image our brothers can get behind and represent. Who Are You? : When someone comes up to you or any member of your chapter/colony, you have about 30 seconds to tell them who you are and what you represent as an organization. What are your 30 seconds? This session will help craft your 30 second elevator pitch to help sell your chapter/colony values and experience. Talk Tabling to Me: If not done correctly, tabling can be boring, a waste of time, and not beneficial for recruitment or other efforts. However, if it is done correctly is can be a major driver for our names list and promotional tool for our events. This session will break down the elements of tabling, from picking a good location, to what to bring with you, and how to work the table to stand out and be as effective as possible. We've Got a Blank Space, & We'll Write Your Name: A names list is essential in dynamic recruitment! If you are not organized with your names, information, and potential member's interest levels, you are doing your recruitment efforts an injustice. Chapter Builder is an online names list management website that allows mass communication, notes to be taken on a potential member, and prevents potential members from falling through the cracks. This session will walk through the features and abilities of Chapter Builder and the benefits of utilizing the website. We Don't Have a Brick House: Whether you are a young chapter/colony, your university does not allow Greek housing, or your chapter simply does not have the funds to acquire a house: recruiting without a house adds its own layer of challenges. This session will break down tips and tricks to recruit without a house and how that can actually play to our advantage if done strategically. We've Got Friends in High Places: Our chapter/colony has a long list of stakeholders: IHQ, graduate volunteers, campus administration, family members, and so many more. To excel in chapter/colony operations, we need to utilize them to the best of our ability. The new member education process presents a unique opportunity to introduce new members and our stakeholders early, and build the relationships more and more. This session will discuss utilizing all of our stakeholders and how we can best learn and engage them. A Whole New World: Going to college is a naturally overwhelming experience, and adding a Fraternity into the mix only adds to the culture shock. As new member educators, it is our jobs to help bridge that gap. This session will discuss ways to aid new members in getting used to campus/fraternity culture and ensuring they staying as mentally healthy as possible. The A Team: Being a new member educator can be stressful and at times daunting to seem like the success of these new members rests on your shoulders and if you are doing your job correctly. However, you are not alone in their success! This session will discuss what other brothers, chairmen, officers or graduates we can turn to to help support you and the new members throughout the new member education process. The Registration Deadline is Friday, June 14, 2019. The cost is $120/registration, which will be billed to your chapter before the event. If you need to cancel your registration, you must do so by Friday, June 14 to receive a refund. Cancellations after June 14 will NOT receive a refund (however, you may send another member from your chapter/colony to take your place). The Chapter will be billed $120/registrant before the start of the event.